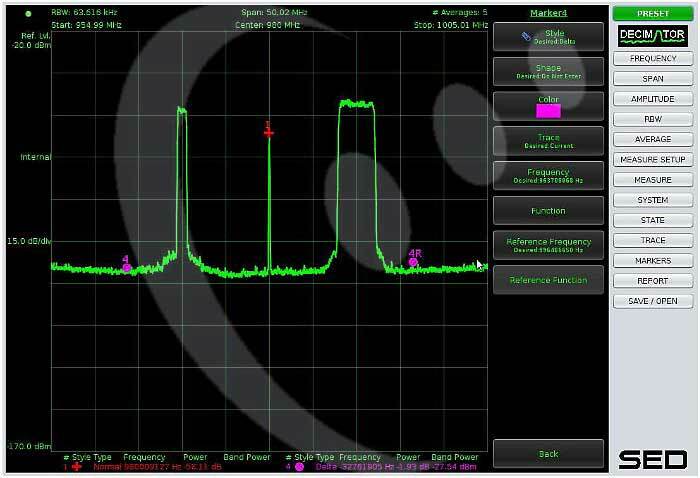 During a recent penetration test, MDSec found several vulnerabilities in a RF spectrum analyzer that was exposed to the Internet. The SED Systems Decimator D3 is the third generation of SED’s popular Decimator spectrum analyzer, providing a frequency range of 5MHz to 3GHz and lightning fast measurement refresh rate. More information on Sed Systems Decimator D3 devices can be found at the vendor’s website. The web service by default has a user interface for accessing the RF analyzer capability. Using the API, the device can also give raw remote access to I/Q samples which would provide a means to remotely sniff the RF spectrum. The Web Configuration Manager can be found under the “/cgi-bin/wcm.cgi” URI. Firmware for the device was downloaded and several vulnerabilities were found to be present within the device services. MDSec have since provided details of these vulnerabilities to the manufacturer who have updated and released a new firmware image which is intended to address these weaknesses. The new firmware patches have not been verified however it is advised that all users of SED Systems D3 decimator devices update to the latest firmware version to prevent exploitation of these weaknesses by malicious parties. This blog post was written by @hackerfantastic.